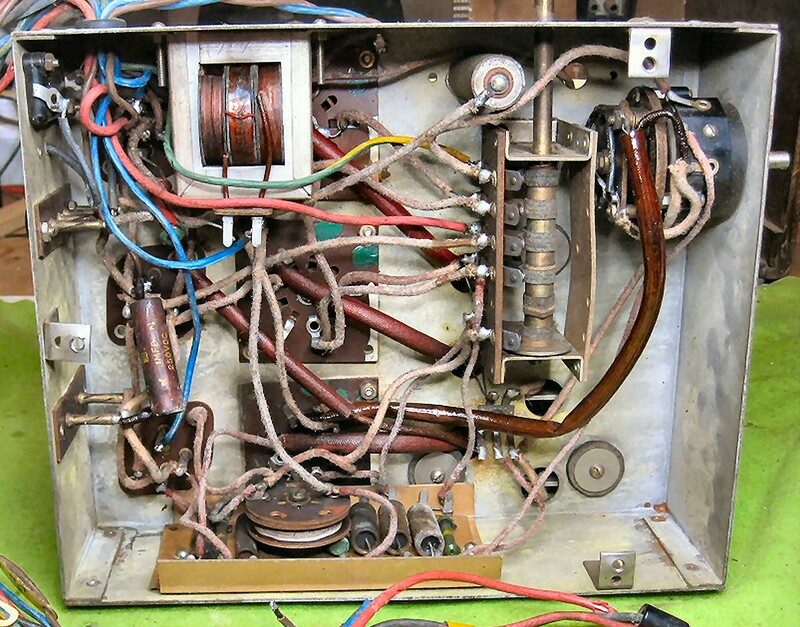 Note; The KB 333 has a total of three tuned circuits (including band-pass input) and HF, Det, LF valve circuit, with pentode output feeding a moving coil speaker. 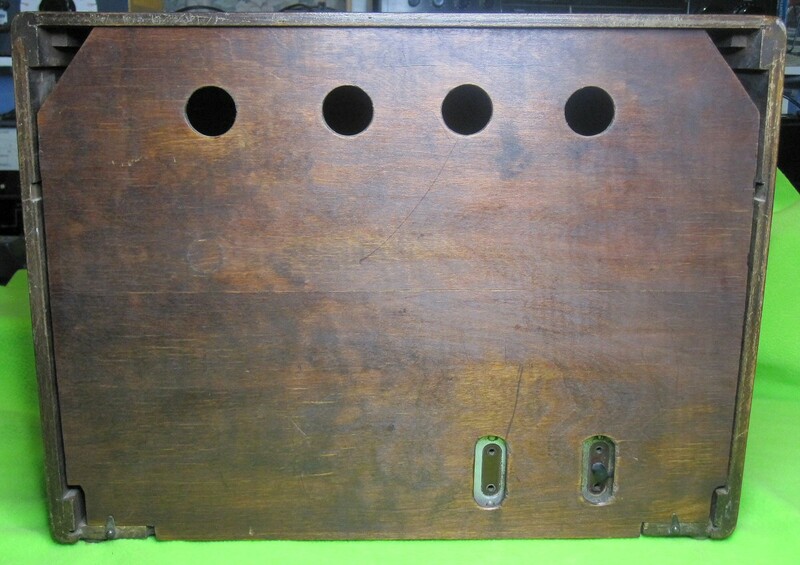 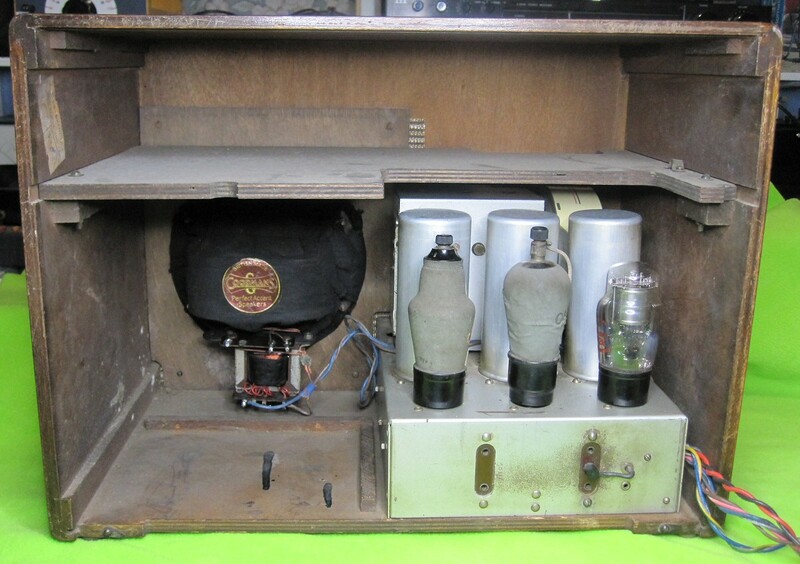 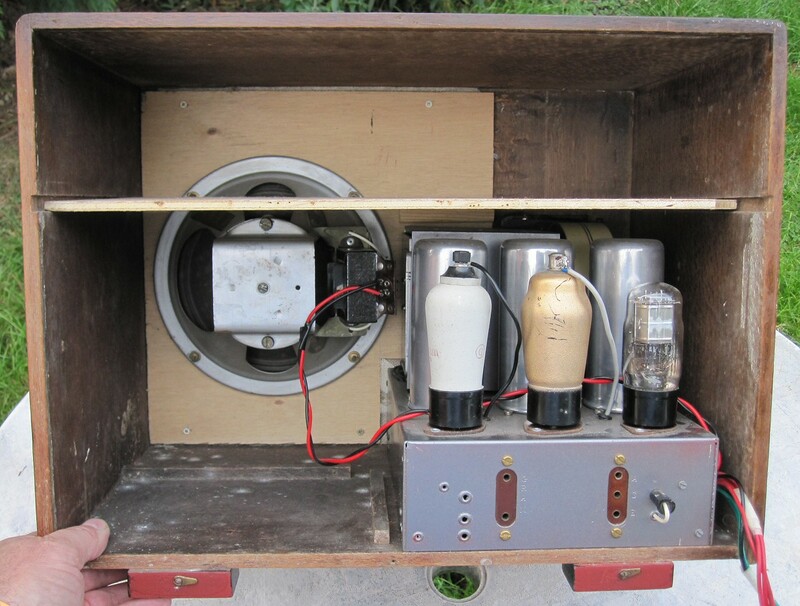 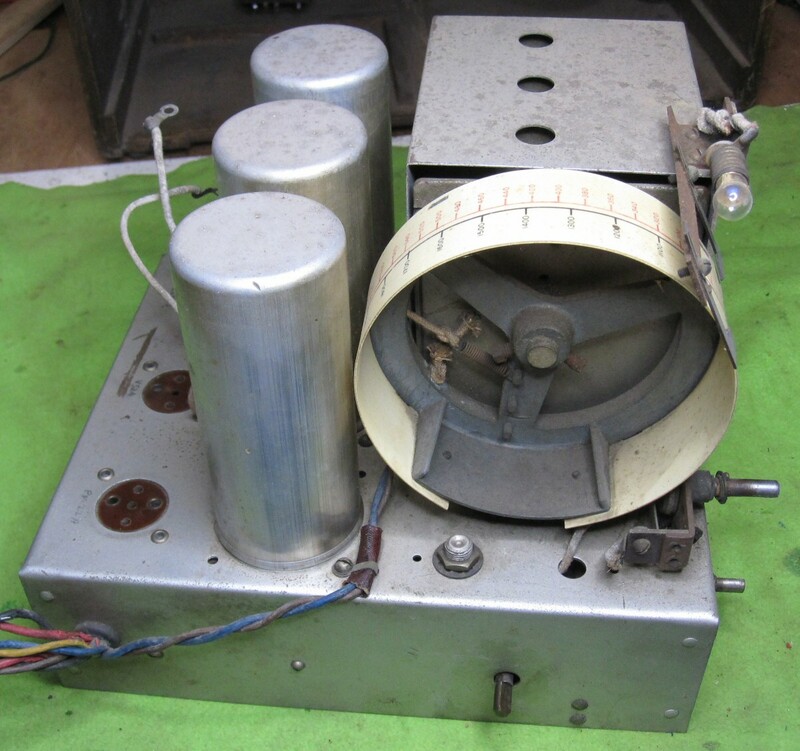 Below are a couple of photos of a radio, recently added to the KB Museum, which appears to have the same chassis as the KB 333 but in a different cabinet. 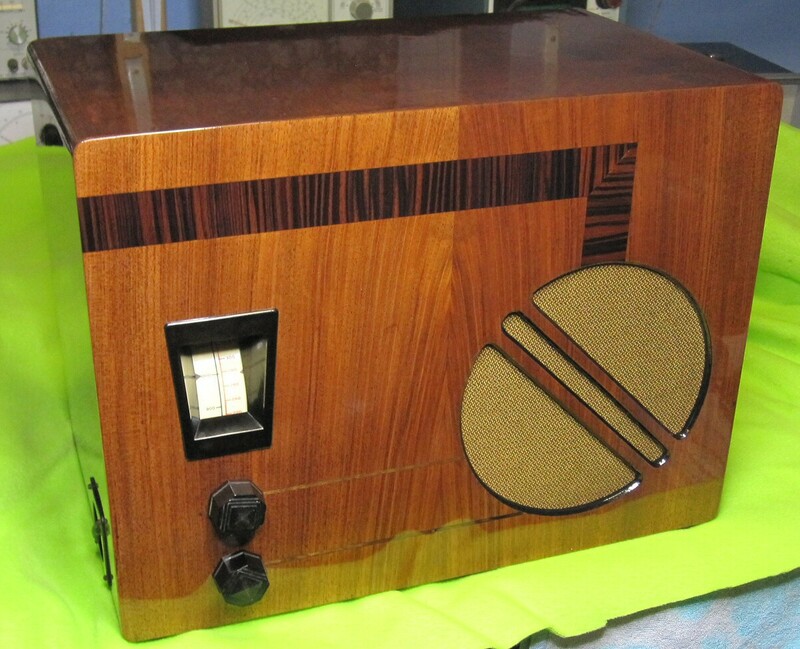 The radio has been fully restored, including some new wood panels. 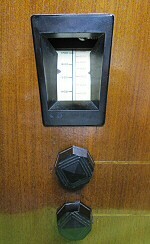 The combined volume/reaction control appears to have been changed at some point for 2 separate controls, the lower right one is the volume. 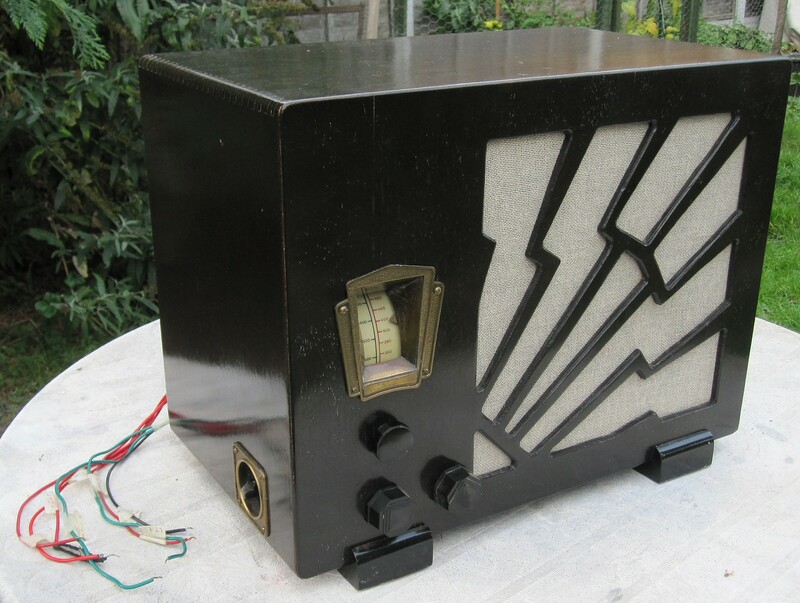 This radio has solid brass escutcheons for the wave change and tuning dial, not Bakelite ones like the KB 333.